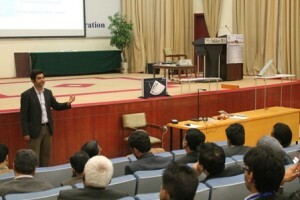 The Second National Lab Immersion Program (NLIP-II) was a two day workshop arranged jointly by IBA Sukkur and Physics lab at LUMS School of Science and Engineering on 12 and 13th of January 2013 at Institute of Business Administration Sukkur. 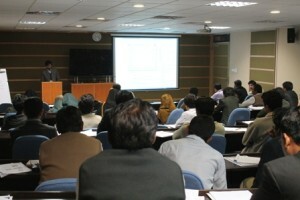 The program was a continuation of the workshop conducted by Physics Lab at SSE last year in June. The purpose of the workshop is to introduce teachers and students to the modern methods and practices in experimental education. Primary focus is on understanding the process and interpretation of measurement and the importance of uncertainties associated with an experiment due to finite resolution and statistical nature of data. 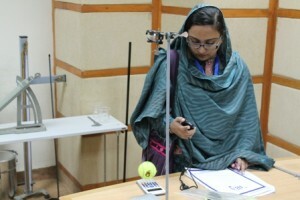 Moreover, to cope with the modern needs of data acquisition and analysis, participants are exposed to newer methods of recording and analyzing experimental observations. The second NLIP started off with over 80 participants from various cities and educational backgrounds. 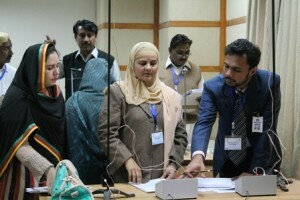 Most of the participants came from areas of interior Sindh, with some from Karachi and Lahore. On the first day, they were introduced to the concepts of uncertainties in measurements, in an series of lectures by Dr. Sabieh Anwar. 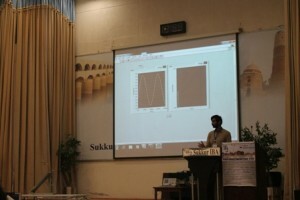 A session on Data Acquisition using computers followed where Junaid Alam shed some light on the modern possibilities of reading and recording data in the digital form. 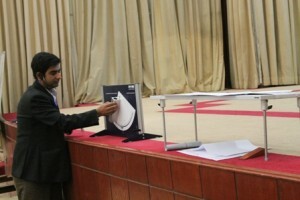 Participants later performed a ‘remote experiment’ in the evening and practiced the taught concepts of uncertainties hands-on. 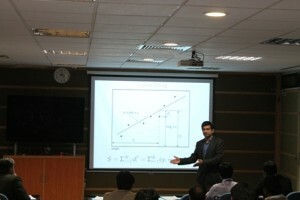 The second day began with a session on data analysis techniques with special focus on linearization and curve-fitting. 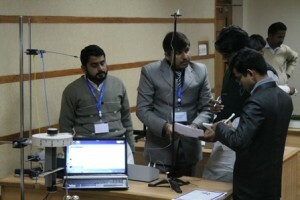 Dr. Sabieh and Junaid Alam guided the participants about how experimental data could relate to the mathematics of physical concepts. 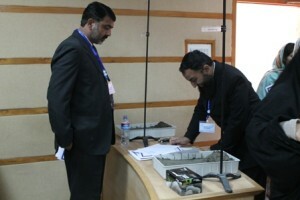 Later, participants carried out various basic lab experiments in physics to better understand the purpose of the workshop. 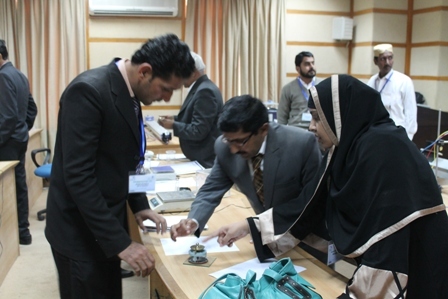 The second day and the workshop ended with a closing ceremony, where Mr. Nisar Ahmed Siddiqi (Director IBA Sukkur) presented souvenirs to the instructors and certificates to the participants on successful completion of the workshop. Dr. Sabieh Anwar expressed his joy and gratitude for IBA Sukkur for having hosted a successful event and highlighted the need for accelerated efforts in this direction. Preparing an institutional and national platform for student-driven experimental research in physics. © 2016 PhysLab, Lahore University of Management Sciences- All Rights Reserved.